I write in these final days of this year’s tempestuous political season to ask for your faithful witness to the communities and nation in which we live. Specifically, I ask two things of you: first, that you be “an example in speech and conduct, in love, in faith, in purity” (1 Timothy 4:12) as you engage in conversation and conduct regarding political matters, so that a conflicted, polarized world may see another, better way to live. Second, I ask that as you consider the choice before all Nebraskans regarding the death penalty, you do so with prayer, deep reflection, and study of the matter. As disciples of Jesus Christ, we respond with compassion and care to those who are victims of violent crime; we work for justice that rights wrongs and restores lives and communities to wholeness; and we support officers and officials of the law in their often dangerous work of preserving the peace. In this work of discipleship, we reflect carefully on all that we do to achieve these goals, and our church develops statements to help us in that reflection. Since 1991, while recognizing that individual members will hold different points of view, our church has been clear in its opposition to the death penalty. This is a complex and often emotional matter, and deliberation will long continue. In that deliberation, our church has noted that “It is because of this church’s ministry with and to people affected by violent crime... commitment to justice... and concern regarding the actual use of the death penalty” that we are in opposition to it. 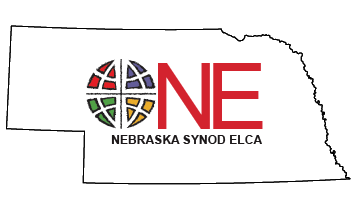 I urge you to read the full Social Statement on the Death Penalty, which you may find on the Nebraska Synod website. 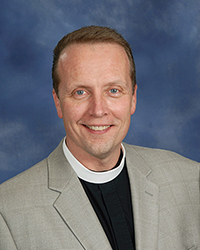 There you will find additional resources including the names of individuals who are willing to speak to your congregation or small groups to share personal stories about the death penalty. I am also attaching a bulletin insert that you may use as one tool to initiate conversation, study and prayer. This is a difficult topic to discuss, as many of us have questions and strong feelings about it. Yet it is a critical issue, deserving our faithful reflection and careful consideration. I urge you to use these resources in your personal and congregational deliberation. You will find them helpful. Once again, I ask your faithful witness as examples of civility and as disciples rooted in faith and prayer. Let us show the world that our faith makes us different. Finally, I hope you will join me in voting to retain, that consistent with our teachings, our state may be free of the death penalty.